KATHMANDU, April 13: With the completion of the excavation of 26-km tunnel, the much-awaited supply of drinking water as part of the Melamchi Water Supply Project is a step closer to the residents of Kathmandu Valley. Vice President Nanda Bahadur Pun, Minister for Water Supply and Sanitation Bina Magar and Asian Development Bank's Director General for South Asia, Hun Kim, participated in a tunnel breakthrough ceremony on Thursday. 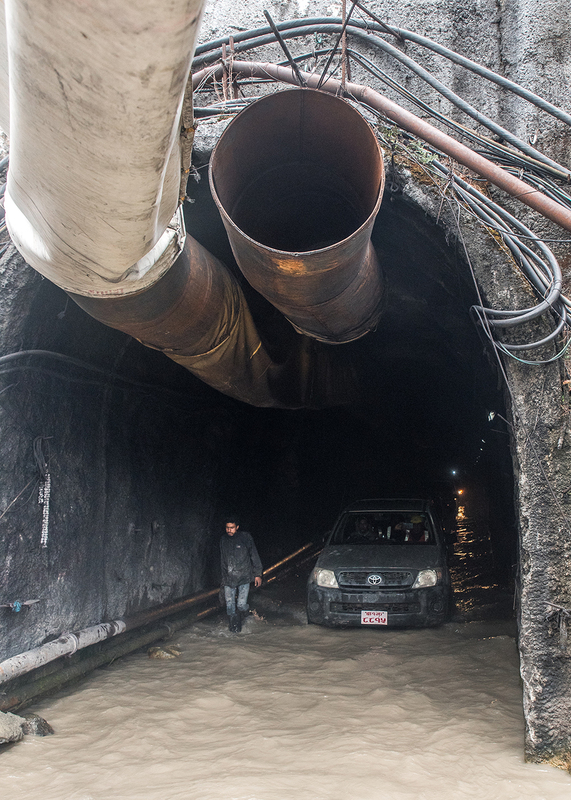 According to a statement issued by the ADB after the breakthrough, the 26-km tunnel, to be fully operational in a few months, will carry water from the Melamchi River to the Kathmandu Valley for supply by the Kathmandu Upatyaka Khanepani Limited (KUKL). The water supply project will benefit an estimated 1.3 million urban inhabitants, or 158,549 households, with more reliable water supply. KUKL is distributing an average of 100 million liters per day (mld) at present. About 40 percent of this is estimated to be lost due to leakages. An additional 170 mld of water will be available for distribution to KUKL customers by the end of 2018. Water will be supplied daily for at least 2-4 hours once the new system is put into operation, according to the statement. Speaking at the breakthrough ceremony, Kim said that the completion of excavation marks a very important milestone in the project's history. “It is indeed a giant leap forward for the project, one that will soon help alleviate the water stress experienced by the inhabitants of the Kathmandu Valley,” he added. According to the ADB, it has provided a total of $145 million in loans for the $355.4 million Melamchi Water Supply Project (MWSP) and has been working since 2000 with the government to build the tunnel as well as 29 kilometers of access roads. “The ADB is proud to be part of a project of such national importance,” ADB's Country Director for Nepal, Mukhtor Khamudkhanov, said. He also appreciated the government's reforms in Nepal's urban water sector and urged everyone involved to focus on completing the remaining work so that Kathmandu residents could enjoy improved water services in 2018. The government is planning to complete all finishing works and testing of the tunnel by early July. This will allow the Melamchi water to be diverted to the Sundarijal water treatment plant in July, with testing of the new transmission and distribution system in the Kathmandu Valley to start from August, according to the statement.